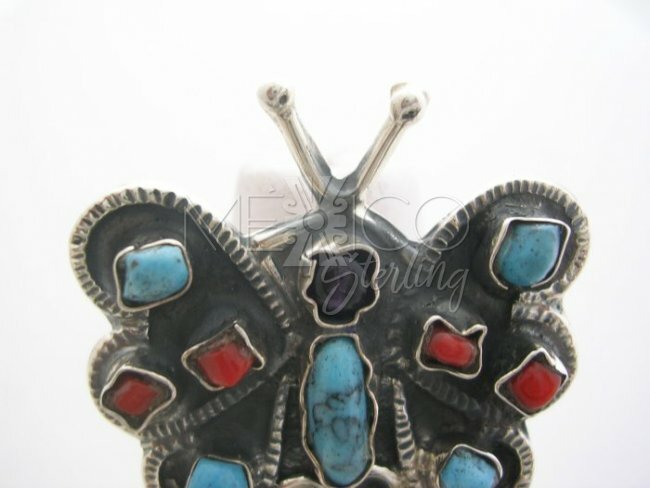 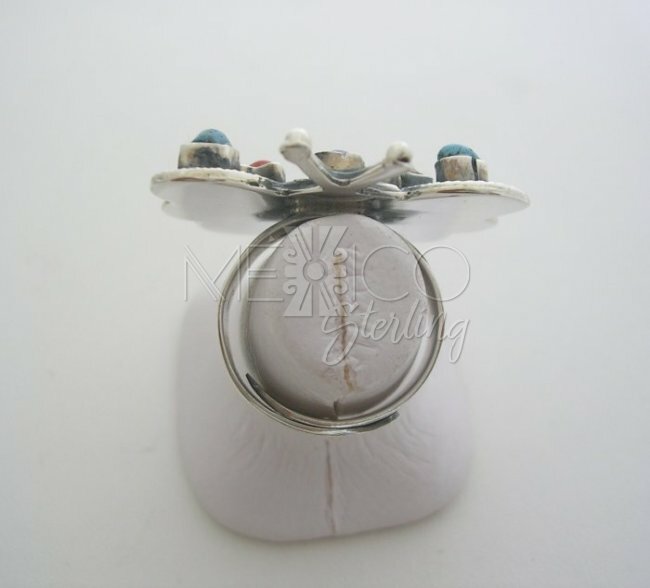 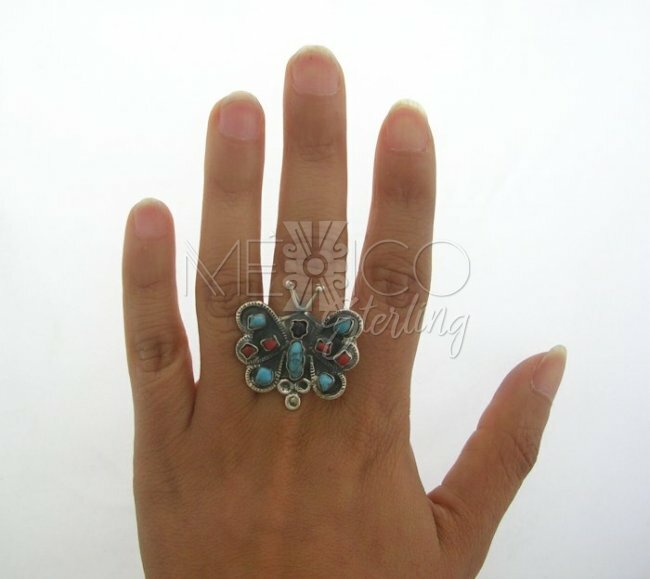 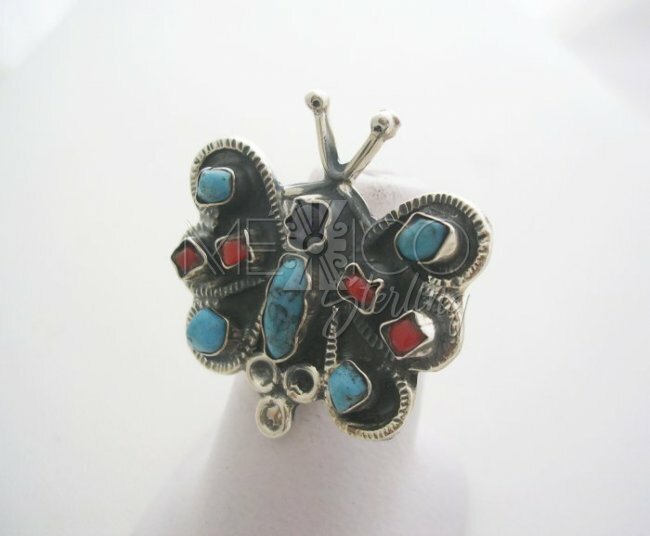 MATL-Matilde Style Stone Butterfly Silver Ring [RNG2626] - $65.00 : Mexico Sterling Silver Jewelry, Proundly from Mexico to the world. 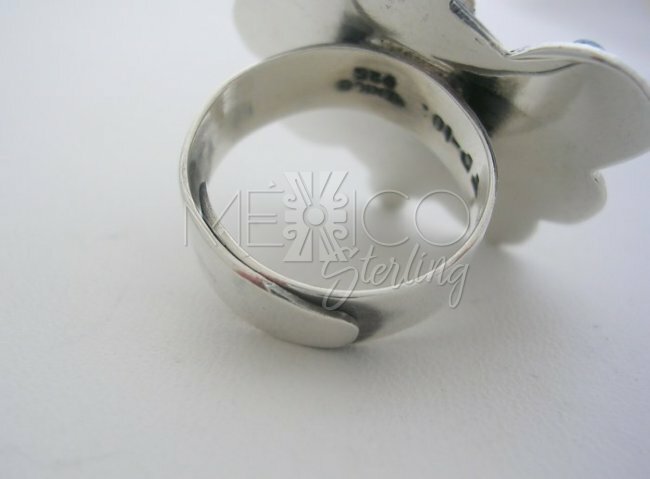 Dimensions: L: 1 1/4" up and down the finger. 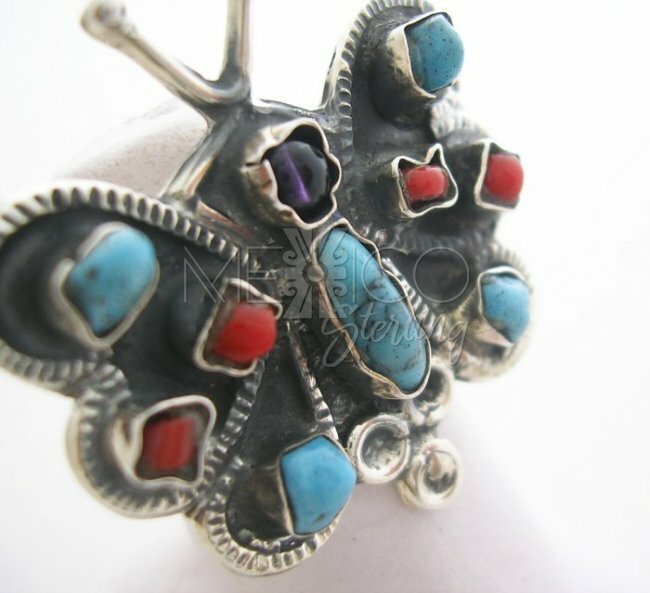 Gorgeous silver and multi-gemstone ring. 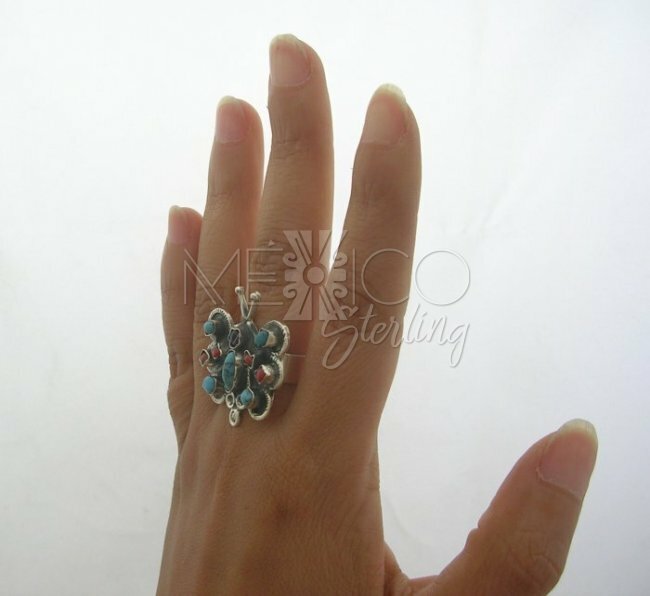 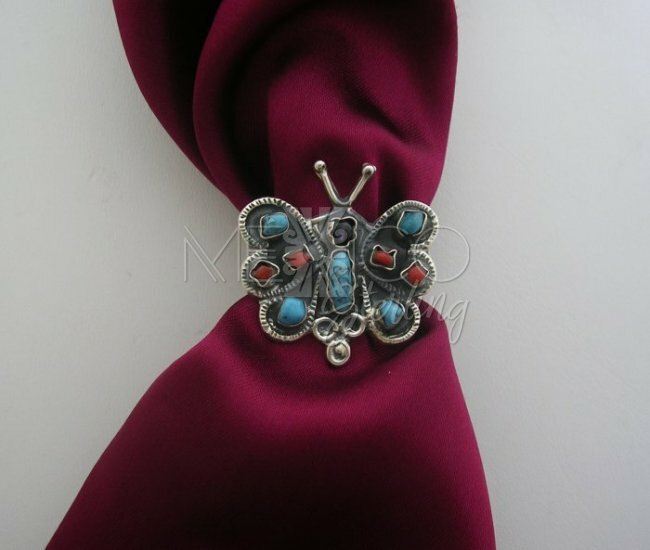 This is a wonderful collectible jewel, that carries a very well known colonial Mexican look. 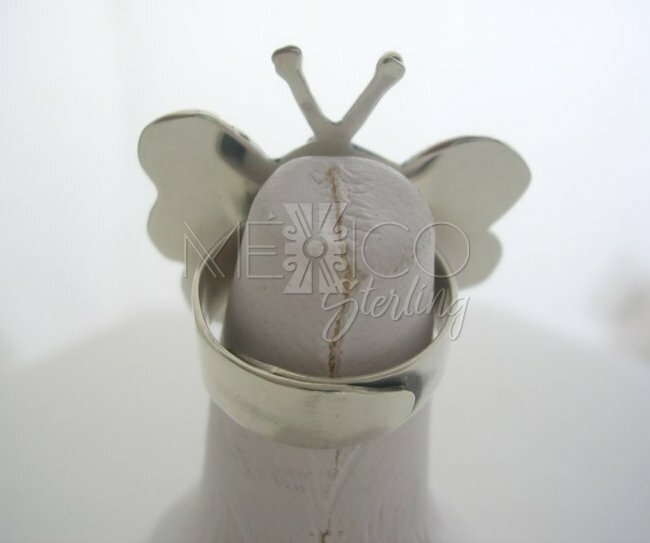 The design on this silver ring is inspired by the works of "MALT- Matilde Poulat", it's just a nice combination of organic elements that when put together make a amazing piece of jewelry. 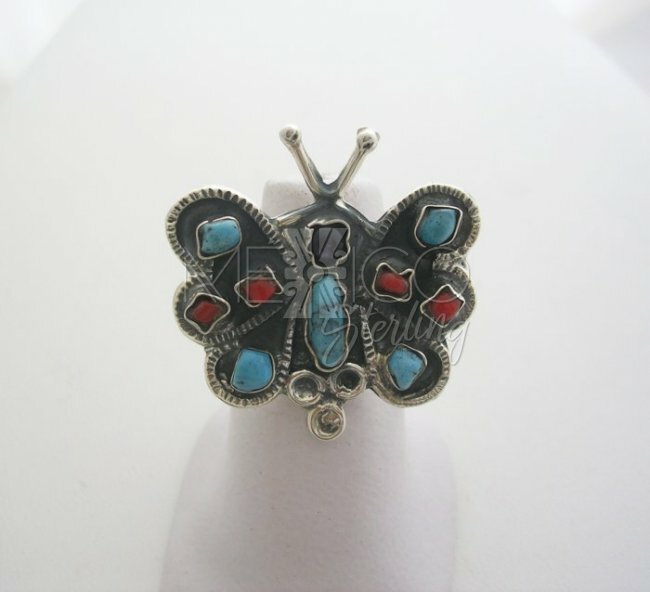 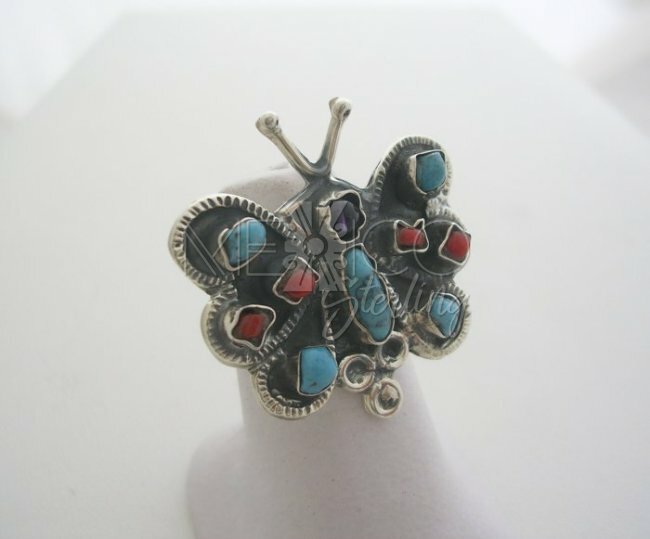 This handmade ring is substantial in weight for its size and it carries Amethyst, turquoise and red coral cabochons, that give life to the drawn, carved creases on the metal. 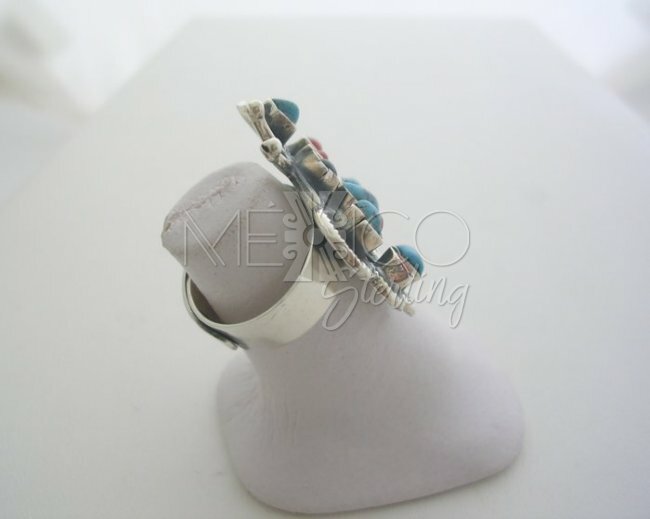 I also would like to point out that it's crafted with a rustic finish, kind of an ancient style.